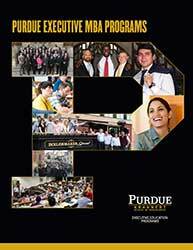 Our launch week provides you the foundation to achieve success as a Purdue EMBA student. It is an interactive, in-person introduction to the program. During the 4-5 day launch at Purdue's Krannert Center, you meet faculty, staff, and your cohort of fellow students; participate in team-building exercises; develop a team charter; and are introduced to SharePoint, our online content delivery system. You are issued an ipad and upload ebooks. You also take two classes for each of the courses of Module 1.